What are symptoms of weak ignition coil? Thread: What are symptoms of weak ignition coil? I have an 02 bandit 1200 with 21,000 miles. It had been running just fine until one day it started acting if it was running out of gas anytime the throttle was turned from 1/2-full throttle(it would still rev). I cleaned out the carbs did a holeshot stage 1 jet kit. That seemed to cure the problem about 65-70%. But I only rode it once after the carb work( i also adjusted the valves and tps plus put new plugs in)then rode it today and the bike acted as if i never did anything to it. It almost seems as if it is firing on 3 cylinders instead of four or something. Is it even possible to only fire on three instead of four? And how about all four firing but maybe two cylinders firing weak. This problem has me wanting to fix it with sticks of dinamite and its in great shape! You should be able to check the coil's resistance using an ohmmeter. First, find out what the resistance should be by looking it up in the bike's service manual. Then, compare that reading to the actual reading taken on the coil itself. If it doesn't fall within the acceptable range stated in the manual, replace the coil. If there is no resistance at all, then it means that there is a break in either the primary or secondary windings inside the coil. 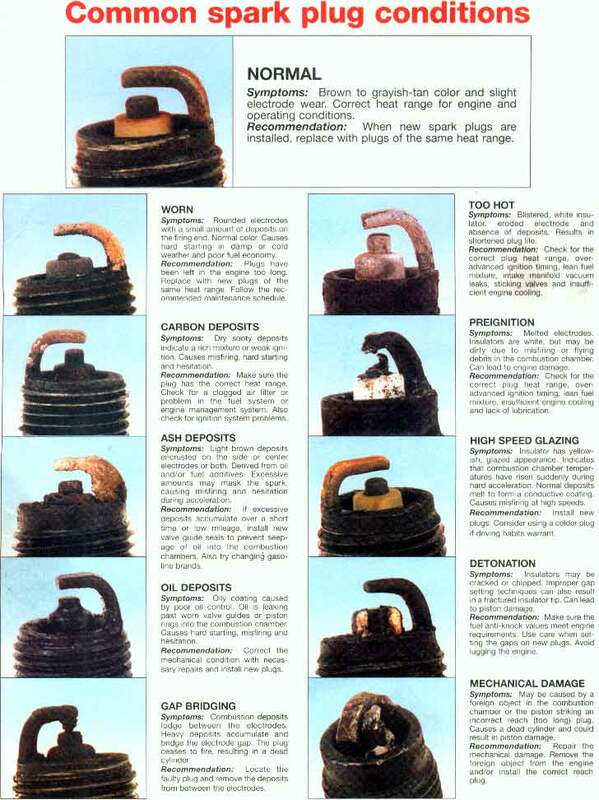 Breaks are not repairable and the coil again must be replaced. Also, plug wires can be checked for proper resistance using an ohmeter. Hope this helps. Is my thinking correct on how to check the ohm's? I would say check ohms on the "power" side of coil between the 2 electrical tabs. Then check the ohms on the "spark" side between the 2 spark plug wires? The thing is, is that it was doing all this before I put new spark plugs in and they looked normal. It definately seemed to be a fueling problem at first, but since I changed the main and pilot jet and that seemed to cure 65-70% of the problem I was pretty sure I was going in the right direction. But starting it up while waiting for my midrange jets to come in, it starting acting very strange again. I would say even worse than the first time and slightly different, seemed to be missing a little if trying to rev it. So thats what got me to wondering if it was never even the carbs but the ignition system. But why the hell would rejetting do anything good that first day. hey man , i'm having similar problems.Bike lost power , and mis fires under load usually in the higher rpms... have you figured it out? ?